On this score, President Tump in his latest claim that he can end birthright citizenship with an executive order is WRONG. On this subject, he is correct that a child born in most countries does NOT make them a citizen of that country. In most cases, they are a citizen of a parent who is a citizen of a particular country. He is correct that those in government can pass any law they like even if it is wrong and the burden is always on the citizen to go to court to prove that the law is invalid. I disagree with that reality, but unfortunately, they get to do whatever they want and we have to always defend ourselves – this is morally wrong! Nonetheless,. the Constitution makes what Trump said WRONG. 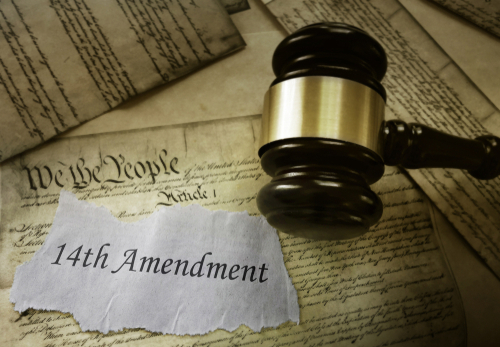 This issue really does need a constitutional Amendment revision because the IRS applies its interpretation even different from the 14th Amendment. They routinely go after people living in other countries who were NOT born in the USA, but one of their parents was an American. The legal field calls this an Accidental American who now owes taxes for their entire life and under the IRS interpretation they can confiscate ALL their assets and throw them in prison for tax evasion. The IRS considers a citizen of a country other than the United States to also be an American citizen even if they are not aware of having such status simply because one parent was a citizen and they were NOT born in the USA. This entire issue really does need to be addressed. In Italy, for example, you can apply for citizenship if your grandfather was born there, but not if only your grandmother was born there. In Italy, citizenship follows only the male and not the female. However, you MUST apply for citizenship in Italy it is NOT automatically assumed. The IRS automatically assumes you are a citizen and no application is necessary. There is nothing in the Constitution to support the IRS interpretation. Yet once again, it is your burden to defend not their’s to prove before taking any action. In this case, the IRS uses the citizenship rule of other countries and the person need not even be born in the USA to be subjected to American taxes on worldwide income no less. In fact, I had a friend in Switzerland who was married to an American but she lived there for 25 years. They had a son and when he turned 13, they took him to the bank to open his first account. The bank refused because he was an American citizen under FATCA and the IRS rules. Most banks refuse to accept any account from an American even if they are a dual citizen.